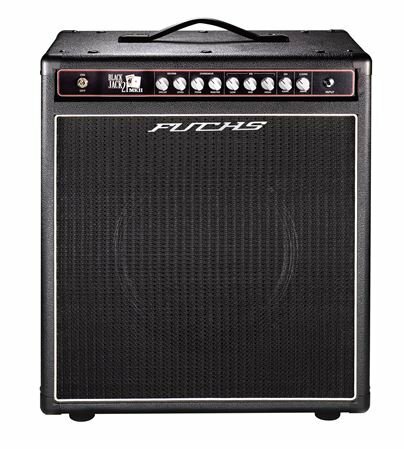 Shop Fuchs Blackjack 21 MKII Guitar Combo Amplifier from AMS with 0% Interest Payment Plans and Free Shipping. The Fuchs Casino Series delivers the great Fuchs ODS style tones that put them on the map, to a more affordable format. While sharing circuit DNA with the ODS/TDS series, a simpler construction style and more basic feature set allow Fuchs to bring these same great tones to the working professional. Dimensions: 19 x 11.5 x 21"
Fuchs Casino Line is a Winner! Wow. I was on the fence between this and the hand wired deluxe reverb and I am glad I went with this. I get some pretty good fenderish cleans out of the clean channel, but can add some girth with the mid knob. The overdrive channel is sweet. It can go anywhere from *D* style to close to *M*. Not to mention the customer service from AMS and Fuchs is wonderful. I had a question about my amp I posted on a popular gear forum and the owner himself answered. You don't get much better than that. Well built great sounding amp at a reasonable price + excellent customer service means Fuchs has a customer for life. This thing smokes! Got it Thursday and played it Friday and Saturday with the band. I didn't need to use my pedals. This is the first 2 channel amp I've played where both channels are great! Usually I'll like either the drive or the clean, but never both. It's light, it hangs with the 5 piece band and most importantly sounds great!. If you want a grab and go, then this is your baby.